I was born at Baghat-i-Kanipora in Srinagar. My ancestors come from Village Hanjura in District Badgam, Kashmir who had shifted to Srinagar and settled there. I have memories of my grandmother playing with me in our newly constructed house singing Kashmiri rhymes like Hukus Bukus & Bisht Bisht Byaro. I grew up listening to these. I was 4 years old when we migrated from Kashmir. Kashmir to me means my roots. My existence & my heart belongs to Kashmir. My favorite places are too many to list but personally Sonmarg and Aadu, I find the most enchanting. I had taken a short holiday to Kashmir when my dad was serving there as a government officer. That trip inspired me & helped me find my artistic purpose of spreading & sharing the music of Kashmir & also blending ethnic kashmiri saaz like rabab, santoor, tumbaknari with modern & fresh genres of music, hence the idea of doing an album was born, and I also formed a live band called Aabha Hanjura feat “The Kashmiri Folk Ensemble”. I have collaborated with folk artists in Kashmir, who have played on the album & also perform in my LIVE shows with me sometimes. Abdul Rashid Shah usually plays rabab & tumbaknari & Umar Majeed plays Santoor, the rest of the band is from Bangalore. I want to spread some happiness through my music. 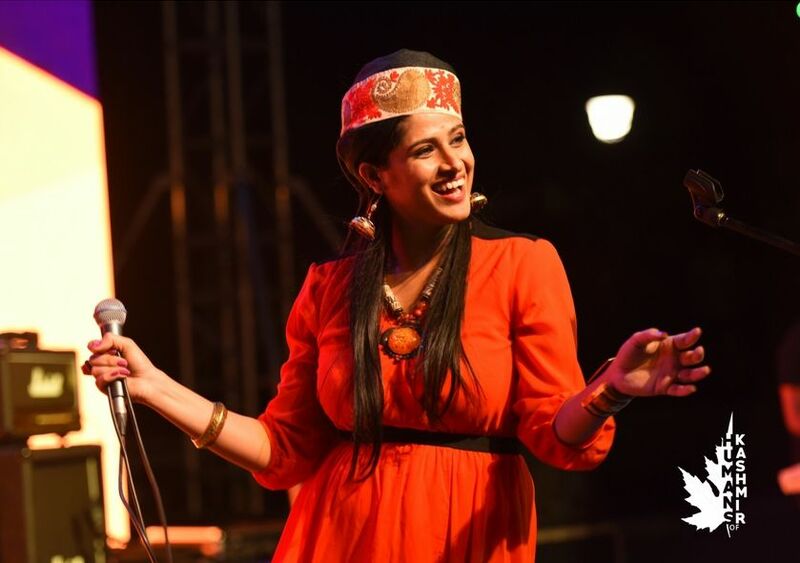 I am simply an artist who is celebrating the folk music of Kashmir & other parts of the country in her own unique way. The love of my fans & the support of my family & friends keeps me going.